Our Wilson Staff Duo Golf Ball features high performance two-piece construction and makes an ideal choice for Company Logo Products. 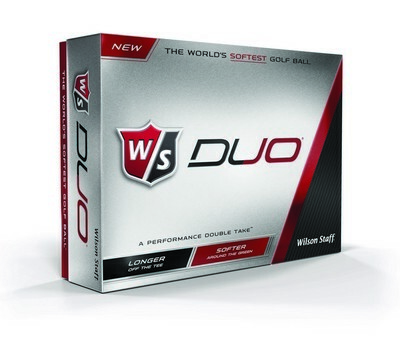 Let them head down their path to golfing success with the Wilson Staff Duo Golf Ball! This golf ball features a high performance 2 piece construction and seamless dimple pattern to deliver optimum performance on the green. Enjoy the soft feeling with optimum distance with this golf ball. A must-have for company golf outings, annual functions and charity events, this golf ball allows custom printing of your business logo and advertising message for maximum visibility of your brand. Let your company gain impression with every swing of the ball.